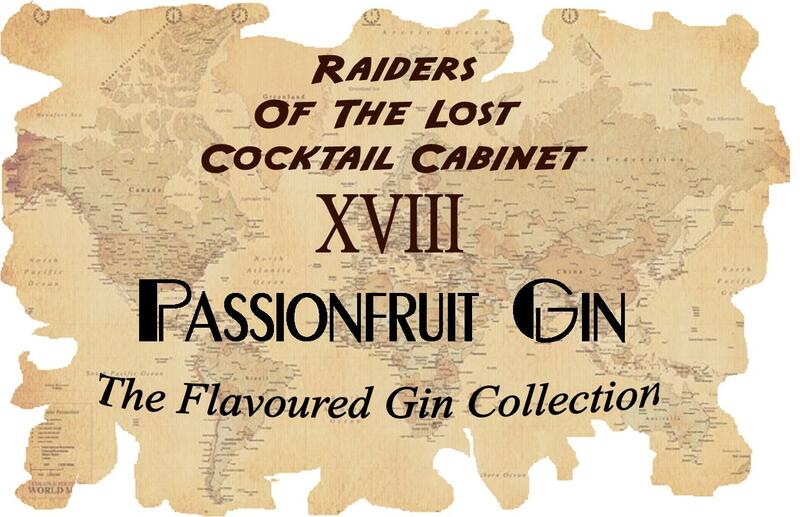 Anyone who has been following the Raiders of the Lost Cocktail Cabinet series will know my fondness for T.E. Carling’s ‘The Complete Book of Drink’ and today’s lost ingredient was, again, inspired by an entry in that book: Passionfruit Gin. This was relatively easy to make. 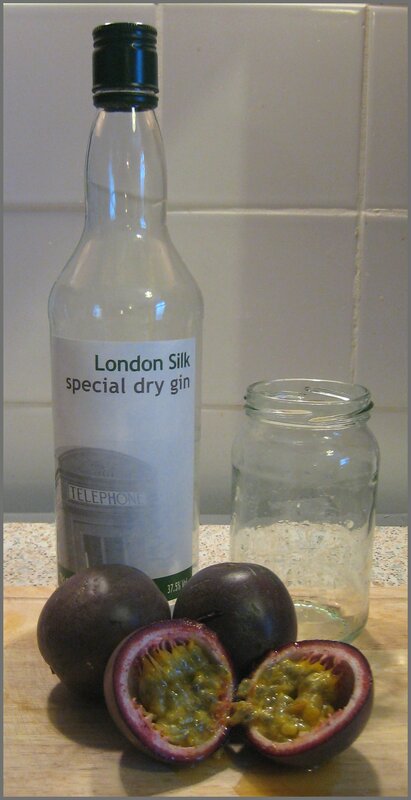 I took the insides of two passionfruit, which I put in a jam jar and topped up with 300ml of gin (for this experiment, I used Broker’s Gin). After leaving to sit for a week, this was strained, bottled and ready to taste. Nose: Fresh and fruity, the passionfruit is immediately noticeable, along with a hint of sweet jamminess and that sweet tomato smell that always reminds me of passionfruit. A reasonable reflection on the fruit. Taste: Initially, quite tart, almost sour, with a hint of malty vanilla. This is followed by the fruitiness of the passionfruit. The entire taste is very dry with a touch of tannin on the finish. This is a tropical G&T with lots of succulent fruity flavour, whilst retaining the same slight, dry bitterness that you’d expect from a regular Gin & Tonic. Mrs. B thought it was really nice: very fresh, with a bright and invigorating fruit flavour. Very refreshing, it has a distinctive fruitiness that tapers off to a bitter finish. An odd mix of jamminess and dry herbal notes play out before a very creamy finish with a slight maltiness. Full of flavour, but with a definite crispness, this is not your typical Martini. Fresh and fruity, the lemon works well with the deeper exotic fruit notes of the passionfruit lifting the drink and making it lighter and more refreshing. Woah most odd! Funnily enough some mint/basil flavours come through. A juicy jamminess of the finish that tastes just like Passionfruit. This is a very smooth and light Negroni but it’s just so unusual I’m not sure if I like it or not. I quite like the Passionfruit Gin but I think it lends itself more to long drinks rather than the more intense Martinis and Negroni. Gin & Tonic was our favourite drink.